Room: "Network", Indianapolis, IN, U.S.A.
Meng Jiang is a Postdoctoral Research Fellow in University of Illinois at Urbana-Champaign, USA. His research area includes behavior modeling, behavior prediction and suspicious behavior detection. He obtained his Ph.D. in 2015 from Tsinghua University. He has published over 15 papers as the first author in top-tier conferences and journals. He gave an ICDM 3-hour tutorial, Modeling Behaviors in Social Media, in 2015. He received KDD 2014 Best Paper Finalist. Peng Cui is an Assistant Professor in Tsinghua University, China.His research area includes social network analysis and social multimedia computing. He obtained his Ph.D. in 2009 from Tsinghua University, China and joined the Department of Computer Science and Technology in 2012. He was honored with ACM China Rising Star Award in 2015. He has received three best paper awards including the ICDM 2015 Best Student Paper Award. Jiawei Han is Abel Bliss Professor in University of Illinois at Urbana-Champaign, USA. He is a ACM Fellow and IEEE Fellow. He received ACM SIGKDD Innovation Award (2004), IEEE Computer Society Technical Achievement Award (2005), IEEE Computer Society W. Wallace McDowell Award (2009), and Daniel C. Drucker Eminent Faculty Award at UIUC (2011). He served in 2009-2016 as the Director of Information Network Academic Research Center (INARC) supported by the Network Science-Collaborative Technology Alliance (NS-CTA) program of U.S. Army Research Lab, and is currently serving as the co-Director of an NIH-funded BD2K Center, KnowEnG. Social networks, recommender systems and e-commercial websites have enabled large collections of behavioral data of unprecedented size and complexity. 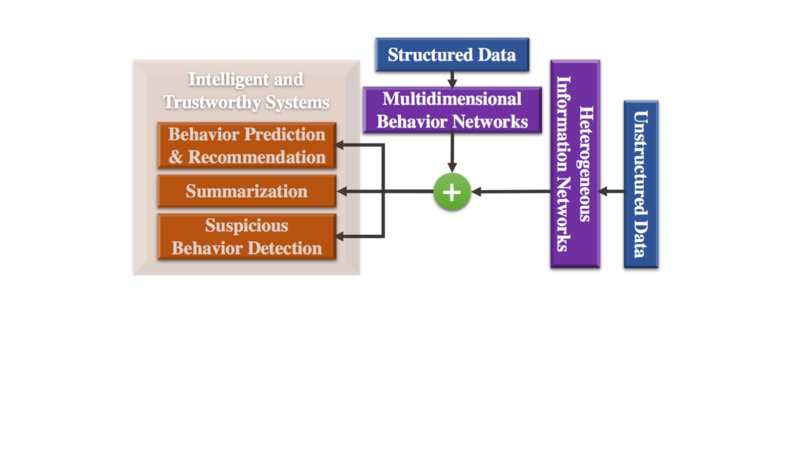 Comparing with human experience-driven analytics, Data-Driven Behavioral Analytics aims at uncovering the underlying patterns in the behavioral data and generating great scientific values for behavioral science and social science as well as marketing values for accurate behavior prediction and suspicious behavior detection. What are the major concepts and principles in Data-Driven Behavioral Analytics? How can we observe the patterns from the large behavioral data? How to represent human behaviors in different applications? What are the effective and efficient computational models for behavioral analysis? 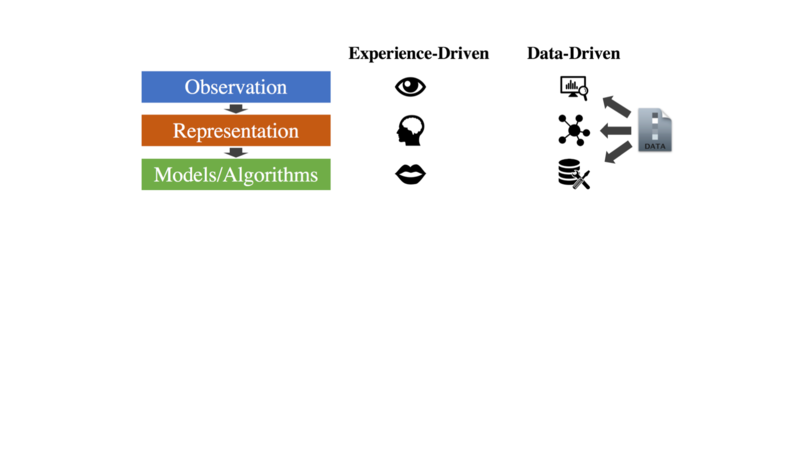 In this tutorial, we answer the above questions by introducing the novel methodology of data-driven approaches (from observations, representations to models). 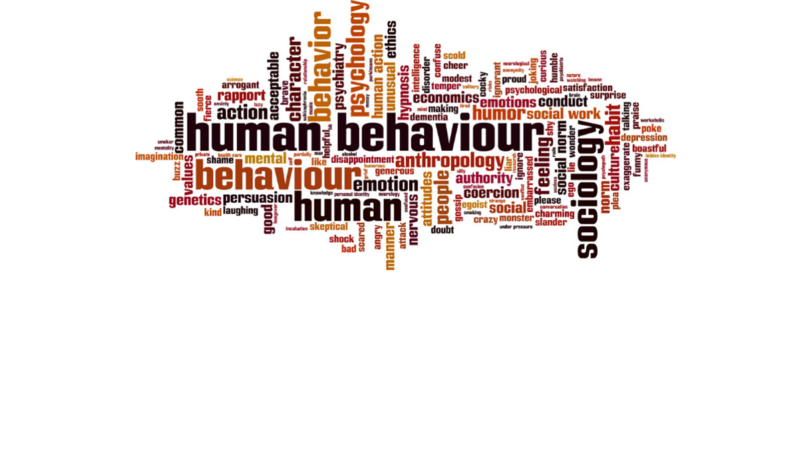 What is human behavior (analysis)? Methodology: observation, representation and models. 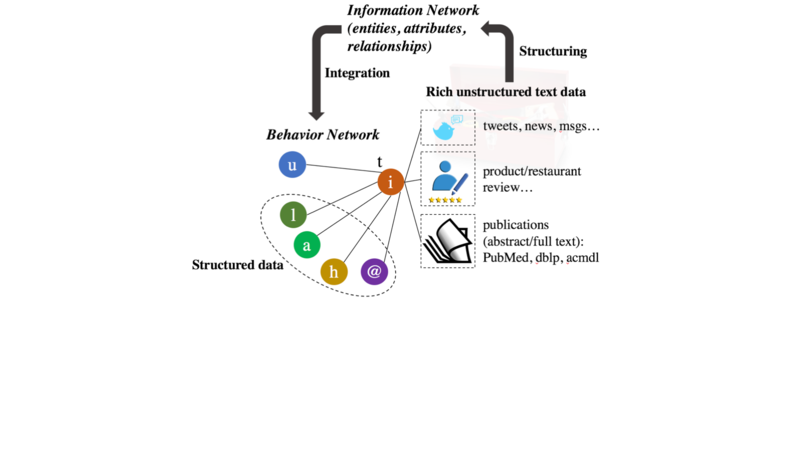 Mining structured data (behavioral contexts) and unstructured data (behavioral content). 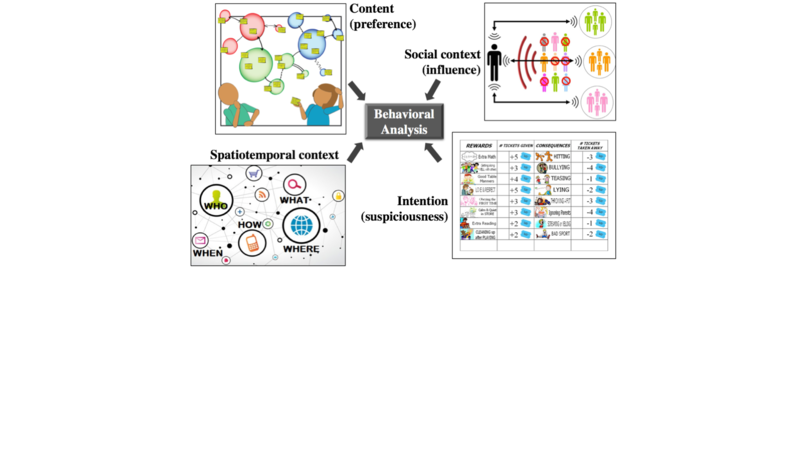 Integrating information network and behavior network for behavioral analysis. 2:00 - 2:10 p.m. 10min Introduction What is behavioral and behavioral analysis? Challenges, principles and methodology. 2:10 - 3:00 p.m. 50min Mining Behavioral Networks for Prediction and Recommendation Data-driven approaches in predicting behaviors and recommending items. 3:00 - 3:30 p.m. 30min Mining Behavioral Networks for Suspicious Behavior Detection (Part 1) Data-driven approaches in detecting spammers, fraudsters and other bad actors. 3:30 - 4:00 p.m. 30min Break Social time! 4:00 - 4:15 p.m. 15min Mining Behavioral Networks for Suspicious Behavior Detection (Part 2) Data-driven approaches in detecting spammers, fraudsters and other bad actors. 4:15 - 5:00 p.m. 45min Structuring Behavioral Content into Information Networks (Part 1): Instructor Prof. Jiawei Han Data-driven approaches in structuring information-rich text corpus. 5:00 - 5:25 p.m. 25min Structuring Behavioral Content into Information Networks (Part 2) and Integrating with Behavioral Analysis Data-driven approaches in structuring information-rich text corpus. 5:25 - 5:30 p.m. 5min Take away and QA Summary and discussions.